Serving Tray for the Old Faithful Brand. 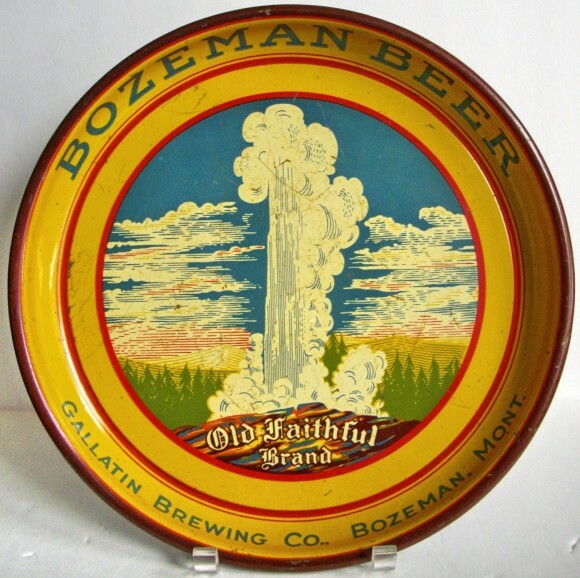 Bozeman Beer from the Gallatin Brewing Company out of Bozeman, Montana. Showing in the center is the famous Old Faithful Geyser. This tray is a 13″ round, there are reports of a similar 12″ tray as well. This tray dates to the 1930s and can be quite valuable in good condition.